What if…. We could get all our alumni in one place? A Couple of Big Happenings…. More news re IITM & her alumni…. 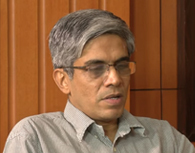 e-version of “IIT Madras Strategic Plan 2020”: We’re well on our way….